Walking provides mobility to a large percentage of people in many cities, especially the poor who often do not have other alternatives. It is also essential in supporting public transport facilities, improving the overall livability of cities, providing accessibility within built areas, and providing an alternative to private vehicles for short-distance trips. In Manila, trips are mostly made by foot and bicycle since average trip lengths are low. Nearly 35% of destinations are within a 15-minute walk or bicycle trip, the majority of short trips are made by paratransit (jeepneys and tricycles) and cars. Metro Manila had relatively higher ratings for the footpaths and sidewalks around commercial areas, low conflicts with other modes, and excellent crossing facilities, which could be due to strict enforcement by the Metro Manila Development Authority (MMDA) and/or the business district association in some areas. On the other hand, due to this strict enforcement, pedestrians are being corralled into very narrow spaces to ensure that vehicle flow is not affected, thus often creating a “pedestrian traffic jam.” It is also important to note that good walkability around some commercial areas is by no means a reflection of walkability across the city. In almost all of the cities surveyed, there are numerous street vendors or hawkers along sidewalks and footpaths in commercial areas. The MMDA has allocated resources for clearing and fixing sidewalks and building footbridges in major traffic junctions. 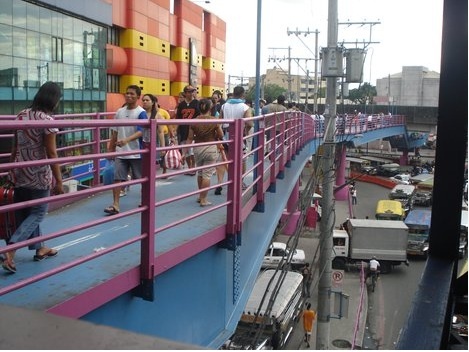 According to the MMDA, there are now 59 steel pedestrian footbridges in critical intersections and major thoroughfares in Metro Manila, which help an average of 2.4 million pedestrians every day.26 These steel footbridges can cost about P15 million– P30 million depending on their length and coverage. 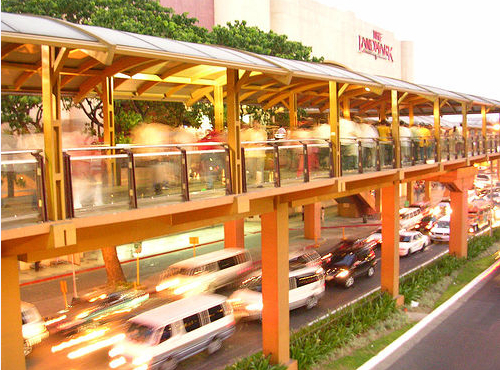 In the Makati Business District, the main business district of Metro Manila, pedestrian improvements were implemented in 2005, such as covered walkways, elevated walkways, and underpasses, which increased pedestrian traffic volume by 200,000 on weekdays and increased the distance covered by pedestrians to 700 meters from 400 meters within the business district (Tan 2005). Download the Walkability and Pedestrian Facilities in Asian Cities here.